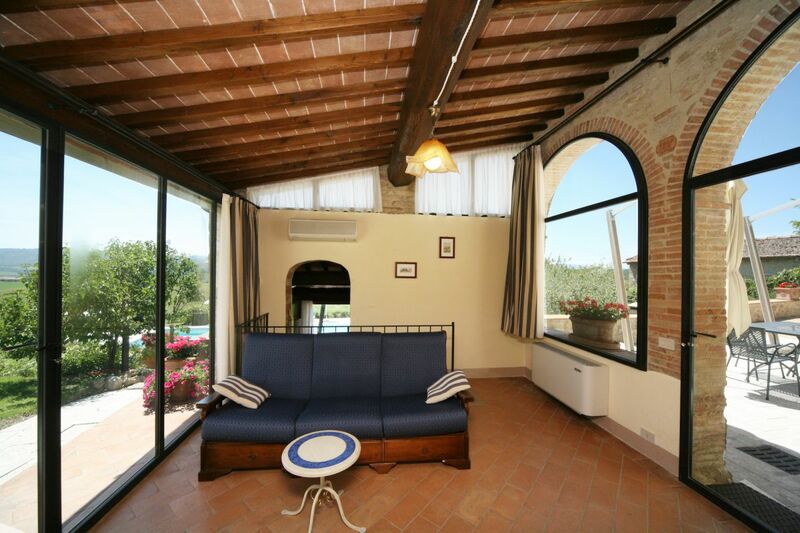 The Girasole Apartment (Sunflower, 52 m²) is the ideal choice for a relaxing holiday in the countryside. It's located on the ground floor and has kitchen, living room, double room with private bathroom and private terrace. The kitchen has a large window covering almost the entire wall; it overlooks the pool and offers a marvelous view of the surrounding landscape. It's directly connected with the private terrace equipped with table, chairs and umbrella. A few steps separate kitchen from living room with sofa and TV; this environment has both walls of glass and has access to common terrace and garden. Bedroom is double and has a private bathroom with shower. Upon request, you can add beds for children up to 12 years old for n. 2 seats. Extra beds have no cost. 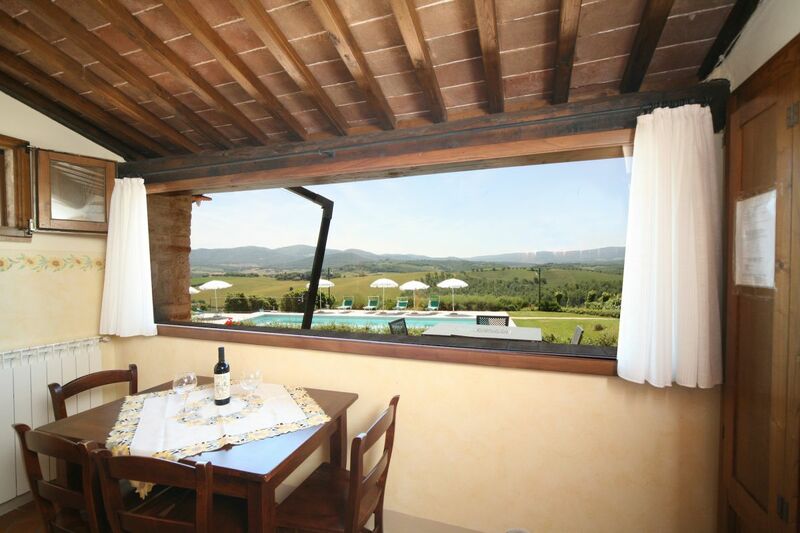 Among the apartments of Pieve di San Martino, Girasole (Sunflower) is one of the sunniest; it's equipped with curtains for sun protection and air conditioning, for an unforgettable stay immersed in the green countryside between Siena and Florence.